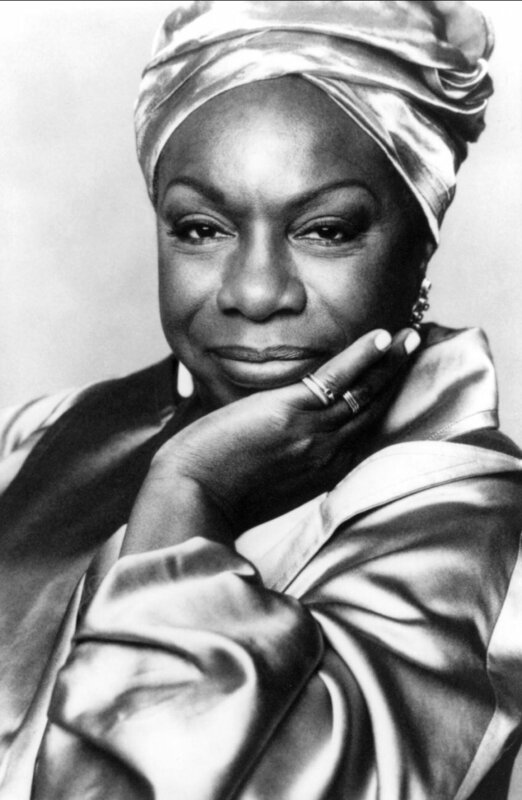 In the past month there have been many think pieces on the controversy of Zoe Saldana; a light-skinned black actress playing the role of a dark-skinned artist Nina Simone, in the movie Nina. It is regarded as controversial because Saldana possess features which betrays and contradicts what Simone was all about. Nina Simone’s artistry and success took her way beyond the boundaries of beauty making it impossible for her to be ignored. But she clearly felt she had a responsibility to use her platform and protest about the treatment of black people and speak the unspeakable – being black and dark-skinned. As a black female born in the UK I consider my experiences as a dark-skinned woman a little unique. I know one cannot generalize as I have come across light-skinned people who see themselves as undeniably black and dark-skinned people who have not experienced negativity from their light-skinned mates. However, my experience is not just the usual standard racism but I have also experienced this from those who are a lighter than me; from those who consider themselves black! Being defined by people and the environment takes a psychological toll, so much so that you cannot help but create a space between you and this shadowy edifice. In my case, I created an imaginary person, where I’m able to install this ‘dark skin’. So whenever I meet this negativity, I redirect it to this ‘person’, as a way of protecting me! I would seat it at the back of the class or make it stand firmly against the wall at discos; it would have to wait until it was spoken to at college and sit politely among others in the conference room at work. It is used to being invisible and ostracised when in the company of its so-called betters. But in general, it has always depended on the kindness and acceptance of those into the exotic and curious. If I am to look elsewhere for other examples of such experiences, it’s used to taking on cameo parts in movies, and if it has a major role then it is flawed in some way. And in literature, it has made appearances in novels such as A House for Mr. Biswas. Or if you check The Bluest Eye, the protagonist Pereola Breadlove is considered ugly by everyone including her own mother. She escapes this situation by imagining herself to be beautiful – by having blue eyes, white skin and blonde hair, feeling that her life would improve. I know for those who are not black will think what’s the big deal, after all the lead role in Nina is played by a black woman in the same way the role of Margaret Thatcher in the movie The Iron Lady was played by a white actress. This is true but it’s also true that when Othello was played by a black actor for the first time, the critics said how the play began to make sense. The nuances and details of racism suddenly became alive and clear. Where did this all begin for me? How did this experience affect me? I think it’s best to look at my family situation to see how it evolved. My mother told me early on in my life that my hair was my beauty. It was her subtle way of letting me know there was no point relying on my looks. Yes, my hair was abundant, long and thick, and twice per month I went to our regular hairdresser where he was able to create a Shirley Temple look, that is, big drop curls which hung to the middle of my back. Later on, when the salon began to use chemicals such as straighteners, he abandoned the press ‘n’ curl routine leaving me with patches of burnt scalp. Clearly, I was no Shirley Temple and could never be, as I owned two deadly sins – a dark complexion and a wide inflated nose. My mother’s disappointment though, was enduring; I simply did not meet her criteria of what she expected, so regular visits to the salon was her way to compensate for the things she felt I lacked. This endeavour reached fruition, when after a year of attending dance school, I had to perform on stage a solo tap routine to a popular song sung by Shirley Temple, On the Good Ship Lollipop. Followed by an enthusiastic applause from the predominantly white audience, my mother beamed. She acted as though this audience had been conquered and converted by the weighted ringlets bouncing all over the place while I did my ‘step ball’ change and ‘brush hop brush drops’. Of course, I was clueless about what was going on at the tender age of eight, realising later given the interests of people who surrounded me, my purpose was to help dismiss a part of myself which caused offence. But it was not just my mother’s incredible expectations as well as disappointments which loomed like a permanent grey cloud. It was also her. For my mother was beautiful. 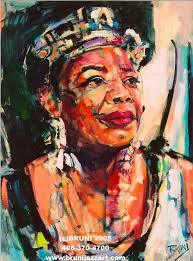 She was haughty, glamorous and intelligent, and believed her looks surpassed well-known black actresses of the day. I knew at an early age I could not reach such dizzy heights and would spend the rest of my days acting as a shock-absorber when people realised I was her daughter. My mother carried a light brown complexion; a Joan Collins-esque nose, with high cheek bones, heart-shaped lips and a thick set of hair. She was always well presented and her make-up was meticulously applied. My mother’s mother was Indo-Guyanese with European features, and her grandfather was near enough white. As we were the only black family in a North London road where I grew up in the early 60s, the neighbours deified my mother; it was an enigma as to how her features found their way in this black setting. You’re black but you look white, but how can you look white when you’re black? Their gazes seem to be asking. Not everyone was convinced for it did not stop the name calling and abuse from the other residents, nor did it stop the jealously from the witch-like sisters of my father. But my mother’s popularity forced them to make sure we were always well presented, whether at school or church. With our white ankle socks, starched hankies and our polished shoes it was almost as if a standard had been set and we had to keep to it. Each time we went out with our mother, the neighbours came and gathered around us. For my father however, it was different. Dark-skinned with strong big features, he did not query my mother’s behaviour and possibly received vicarious satisfaction from all the attention, even though it did not fall on him. But there was no doubt of the racism he experienced – the fights he got into with the Teddy Boys and the insults he received at work. He left Guyana as a carpenter but prior to that, he worked on the sugar (plantation) estates. With determination he managed to leave the country and find his way to London, and then a year later, he was joined by a woman who would eventually become his wife and my mother. Whilst in Guyana, my father grew accustomed stepping aside or lowering his head when a light-skinned person came his way. When he met some of these people years later in London at a function, he behaved in the same manner. They quickly but jokingly said ‘Hey, you na know me?’ My father was speechless. When he shared this story, he laughed saying the experience was ‘positive’; it proved to him that London was a great equalizer and he had no regrets leaving Guyana. Growing up as a teenager, I realised that having long hair had its advantages even though I was ignorant to its drawbacks. Styling and wearing it in the latest fashions gave the illusion of beauty. The black guys who were attracted to me ‘believed’ I was pretty. Just as milk in coffee makes the drink palatable, my hair helped dismiss and divert attention from my skin tone. One of these guys even said they liked my hair and how ‘it would be better if I kept it straightened’. So I did. Just to make sure my approval ratings remained high with those that mattered. As a married woman with young children, my focus was on my family where I had to set myself aside. So for twenty years, I kept (or hid) my hair in braids. What I love about it is the multitude of styles which can be created and the practical reasons, as it does not take up time and gives your hair a rest from the chemicals. But ever since my daughter began her degree course, she has a new attitude towards her looks. She proudly wears natural hair styles as opposed to relaxing her hair and uses natural organic products. In fact, she says she never wants to relax her hair again or go near a skin ‘brightener’. As a result, she has received compliments from other black students as well as those from other races. She realises there is no need to ‘change herself’ as it is more important is to accept and love who she is, even if, the image of a celebrated top model is bearing down on her. After my mother passed away and I look back on our relationship, it occurred to me her thinking and the conditioning she received in the West Indies had an effect on me. But I understand she was the product of an environment which shaped and created her thinking and she could not be held responsible for how she wanted me to be. Several years before she died, her manner changed; it was tolerant and accommodating. She complimented me of how I had turned out – something she had rarely done – and how she was proud. Just after she died, a friend of hers told me that my mother believed she was not a good parent. Strange to say but upon hearing this, it gave me some relief. I always wondered if she was conscious of her parenting methods and the effects it had me. It was never confronted when she alive as I felt that if I had, she would have denied it. But it gave me some respite from thinking all along she did not care. I still carry the scars of my upbringing. My ‘scars’ come in the form of self-doubt and a low self-esteem. 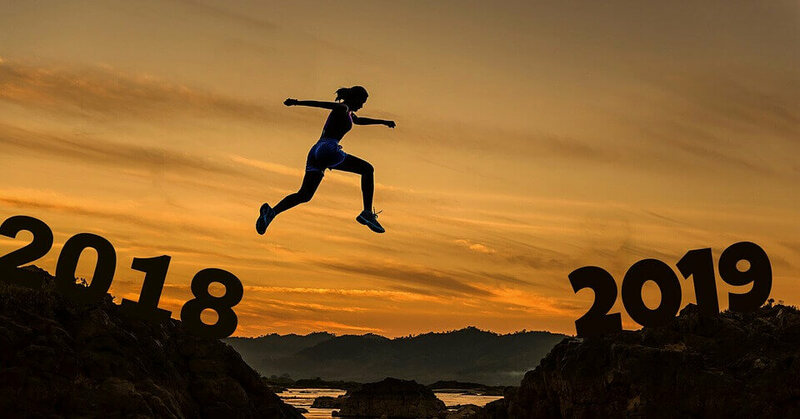 The positive thing about this I’m living in a time where due to the amount of information available, I realise that I’m not the only one with doubts; as there are lots of souls battling daily of how to embrace themselves. So whether I visit a counsellor or do a course in meditation, or simply study the Bible, at least it’s a start in defeating the pervading images and stereotypes and not to be dictated by them. And as for the controversy surrounding the movie Nina, I am glad that this discussion has been brought out into the open. If anything good is to come out of this, at least it has allowed me to share my experiences, and for me to feel they are most certainly valid. Can a book forecast a dream? October 2015 was a strange month for me. The staff I had working in my house had played me up during the year but it became too much so I said they had to go! It was dramatic but my husband handled it so I was glad it was over. But while this was going on, in the background I had thought of a title of a particular book I had read. I couldn’t remember its name nor the author. After quickly washing up the dishes and tidying up the living room, I went upstairs to our fully stocked library and searched. I couldn’t find it. Was it at one of the other houses or did I take it with me to London? No I thought, it’s definitely here…somewhere. I searched high and low, pulled out a book thinking I had found it due to the cover design. So what was it about this book that preoccupied my mind? It was about a young girl’s experiences of living with her mother who had dementia. Throughout the mother’s struggles, she never forgot about her children and her responsibility towards them. Even while fighting the authorities, or being in the mental institution, she tried as hard as she could to be there for them. But for me what was striking about this book was its ending. The young girl’s recollection of a dream she had about her mother when her mother had already passed away. The girl dreamt of her mother visiting her and how she was so prettily dressed and wearing a bright smile. She sat with her daughter in the warmth of the sun and the two smiled constantly at each other. They spoke of nothing in particular but the daughter felt they were the only two in world, and for the daughter, this was an everlasting feeling. Eventually, the mother told the daughter it was time for her to go, and how everything would be fine, and that there was nothing for her to worry about. As she spoke, she was moving closer and closer to the light until she became a tiny speck in the sky. The little girl cried. When I had read the book for the first time some years ago, I remember then being impressed with the book’s ending. The following day I checked my emails for the first time in the week. There were so many things to do in the house now that the staff had gone plus, I had just began the beginner’s class in Iyengar Yoga, forcing me to completely forget my mails. Anyway, there was an email from the residential home where my mother resided, saying that my mother had been admitted into the local hospital on Monday. (I should add at this point that I live abroad but I travel to London twice per year). The day I checked my email was Wednesday. I was surprised and annoyed. Why should it take them over a day to contact me? I was about to call them when I changed my mind and decided to call my brother David instead. David, who lives in London, also said that he only just found out and was annoyed how they delayed with the information. He said I shouldn’t worry as he would quickly go to the home. But I called the home and spoke to the sister in charge for the evening. She said my mother had not eaten or urinated in 24 hours so they sent her to the hospital. The hospital put her on a drip but found it to be ineffective so the consultant had decided as my mother was not responding to treatment they would discharge her. The other key thing the sister told me was the reason also for my mother’s discharge was there was not anything else the hospital could do for her. The following day I called the home to find out what ward she was in. They did not know so I called the hospital. It was only after the fifth attempt that I managed to find out the name of the ward and was put through. The Ward Sister said that my mother was in a poor state and that the intravenous feeding was not having an effect. There would be a meeting with the consultant and they would decide what to do. I then called my brother and we talked. Later that evening my husband and I agreed that this coming Friday, I would go to London. The following morning, it occurred to me that one of the words of the title of the book which had escaped me was ‘Pilgrim’. After an hour or so on the internet, I managed to find the title: Pilgrim State and the author was Jacqueline Walker. And would you know when I went to the library, there it was! I searched for the last pages and found what had been on my mind. Now that I had read it, I was still wondering what was the big deal: why was I compelled to read this. Friday had crept up quickly as before I knew it, I was in my seat, on a British Airways flight to London. When I had arrived to my mother’s house in Tottenham, I rushed up to what used to be my bedroom, grabbed the car keys and went to the garage. The weather I would say was in-between warm and cold. Lots of leaves on the ground and yet, still lots of leaves to fall from the trees. I warmed up the car for some minutes before leaving to see my mother. When I arrived it was a relief to see her, and to see that well, she was no different from when I had left her on the same day I was leaving for Nigeria, which was exactly one month ago. Perhaps she was a little gaunt but still had the same glazed expression and jerking to every sound she heard. When I called her name, she jumped, looked about herself but she could not see me due to glaucoma. Every day I would go to see her and spend most of the time with her. But as the week drew to an end, her breathing had become shallow and short, her mouth was permanently open and her eyelids never seem to close. Each time she paused before taking another breath, my heart would skip a beat. There was a day I fed her some soup, and it surprised the staff as it was the first time in ages that she had taken something to eat. It uplifted me but the following morning, her beautiful unlined face was shaped into the famous visage in the painting The Scream by Edvard Munch. Not a flattering description I know but it was the image that came to mind upon seeing her. But I was depressed as it was clear that her situation was not going to improve. I believe I spent the rest of that day waiting to exhale. On the last day of the month my mother passed away just as I was about to leave to go home. It’s a strange experience witnessing death take over as life makes its exit. I remained with her alone in her bedroom for another five hours before the suited undertakers came and removed her body. Weeks after the cremation, I thought about the book Pilgrim State. I now understood why I was preoccupied with locating the book; it was a sort of preparation of what was to come. Since I quickly forgot my dreams after waking, perhaps it was for me to know, through the ending of Pilgrim State, that Mummy wanted to let me know that there was no need for worry, fear or upset as everything would be alright. I was happy that I arrived to the UK in time to spend one last week with my mother. I had time to tell her I was sorry for my misunderstanding, that I forgave her when I felt that her support was not enough, to thank her for sacrificing her time and needs, that I loved her, and to say good-bye. May she rest in perfect peace. Faith Bandler: May God rest her soul. Some years ago I worked in a high-end department store in West London. It was a great experience working in an environment where the customers served never seemed to blink an eyelid at the prices of items sold. The majority of the customers were famous – whether they were politicians, Hollywood actors and actresses as well as the British ones’, and then of course the musicians – whether pop stars, opera stars or divas’. 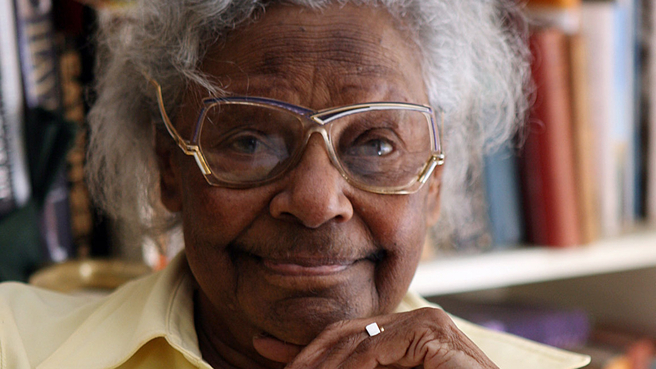 But there was one lady I served, Faith Bandler, an Aboriginal activist who campaigned against the plights and sufferings of Aboriginals in Australia. She did not tell me who she was as I recognised her from a documentary I’d seen on TV. Ms Bandler successfully campaigned for the indigenous Australians to be recognised as full citizens and to be given rights under the constitution. She was totally humble, warm, intelligent, passionate and possessed a quick and easy laugh She was also curious about the black community in London. I am really happy that she will be given a full state funeral by her country. May her soul rest in perfect peace. Nadine Gordimer: A Great Writer! I just learnt that Nadine Gordimer passed away yesterday. I admired her writing. Her book My Son’s Story was my introduction to South African literature. I was of the opinion that white writers could not write about black people and their experiences. But Gordimer proved me wrong. Whenever I read her novels, I’m not only overwhelmed by the accuracy in the depiction of her characters, but the truth as she sees it, no matter how cold it is! For those who supported Apartheid, her books could not have made comfortable reading. But I am happy for her presence and her immense contribution towards ending the struggle and that her soul should rest among all those other great souls who have recently passed. In 2007 I wrote a review of Gordimer’s biography titled No Cold Kitchen. I know the author (Robert Suresh Roberts) received a lot of criticism as people were offended by it. 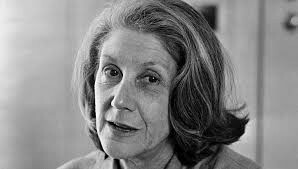 But I do not believe that it was bad; I thought it fair and that it rightly praised Gordimer for her contribution to the removal of Apartheid in South Africa. Mr Mandela, sadly, you have now left us. I want to thank you for all you have done for your people; for avoiding a civil war and allowing peace to reign. But I also know that if it were not for you, I would not have been allowed, as a black woman, to emigrate to South Africa in 1994. I had the pleasure of living in your beautiful country for two years, and I enjoyed every minute of it. You will be missed and you will never be forgotten. Go and enjoy your well deserved rest and may the Almighty Father bless your wonderful soul.